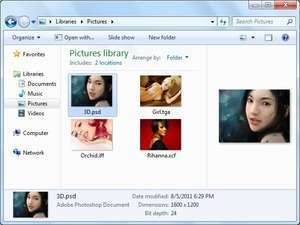 SageThumbs is a Windows shell extension which provides support for an increased number of different image formats so that thumbnails may be displayed. After installing SageThumbs, you will have extra right-click options available in Windows Explorer. Additional format support will also be installed. A total of 162 images formats will be supported, thanks to its integration of the GFL open source library. Version 2.0.0.23 is a freeware program which does not have restrictions and it's free so it doesn't cost anything. For security reasons, you should also check out the SageThumbs download at LO4D.com which includes virus and malware tests. Additional screenshots of this application download may be available, too.